Your guess as to the theater's quality is as good as mine! 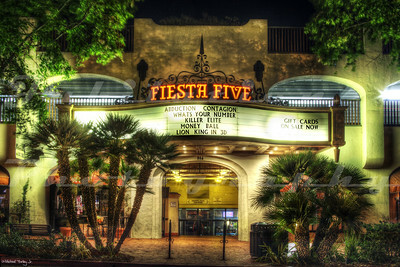 The Fiesta Five Theatre, Santa Barbara, CA. Opened in 1979 as the Fiesta Four Theatre. 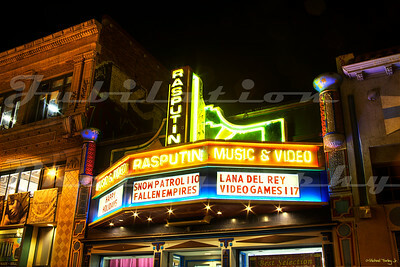 The Sunset Theater, Berkeley, CA. Opened and closed in the 1970's. Apparently, it now looks more like a theater than it did when it actually was one.